The 41″ Green Average Band – 1.75″ Is the ideal band for assisted chin ups or other assisted body weight movements> It can be used for various upper body exercises, (for stronger athletes) and lower body strengthening exercises. It can be used either by itself or by attaching it to barbells, free weights or machines. It is also used for stretching routines for stronger athletes. This band is also a good size for general use and for adding resistance to people from 140 to 200 pounds for body movements. New toy! Affordable,durable and heavy. Just what I wanted. Happy to hear Josh! Enjoy! Super Durable, but why the handles? Solid construction, seems super durable. I just got it yesterday but I've been tossing it around and dropping it pretty hard and it seems super solid. I filled it with play sand from Home Depot (about $8 for a 55lb bag). I was a bit surprised you guys put handles on them though, if it's easy to pick up then that kind of defeats the purpose of training with a sandbag, right? I'm thinking about cutting the handles off but I will admit that I might keep one on so that I can use it to train duck walks and power stairs. Hey Alex, thank you for the review! These sandbags are a great training tool. 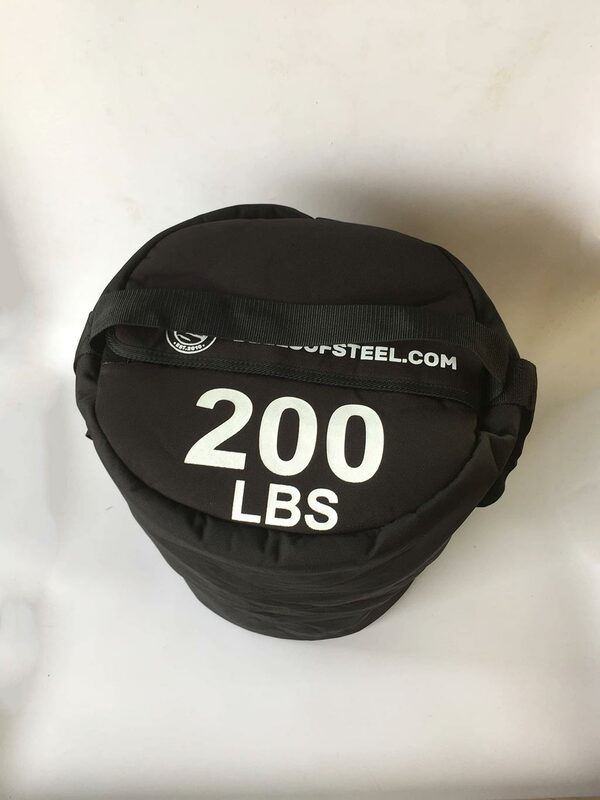 We have the handles on there so the sandbag could be more versatile than a normal sandbag plus it makes it a little easier to carry when you are setting up or putting away after a workout. Hopefully, this answer helps! I bought this for my son for Christmas, he loves it. He says it is his favourite piece of equipment. Dena, thanks for the review! We are happy to hear your son is loving his Christmas gift! We look forward to the continued support!